Kenya Cup champions KCB’s 23-man squad to start the defence campaign on Saturday Nov 17 against Menengai Oilers sees Jacob Ojee and Brian Omondi named as centres. Head Coach maintained a number of those who started Floodies final with Ken Moseti starting at fly-half. 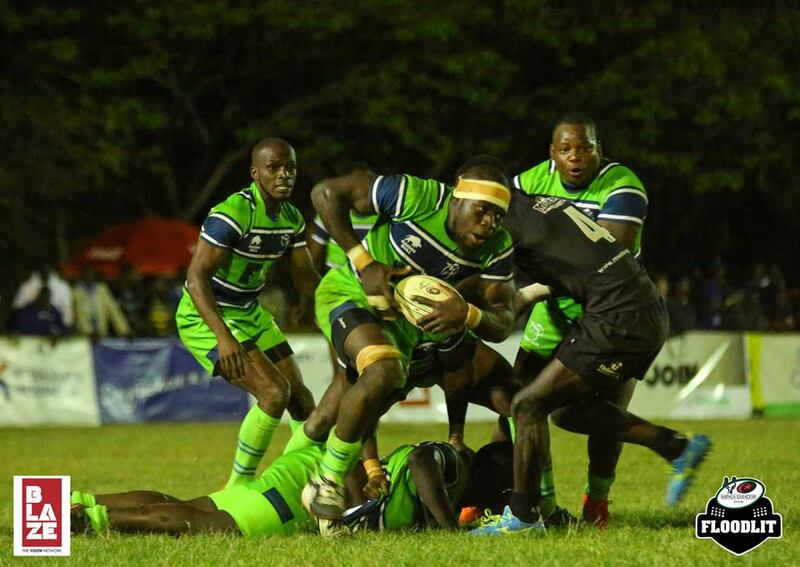 Oscar Sorano, George Asin and George Gichure complete the front-row as Isaac Njoroge is slotted at fullback. “I haven’t seen them(Oilers) play but I know they did some good work to play in this environment,” said Olago. Oilers make their Kenya Cup debut after finishing second in the Championship last season. The 4pm kick-off at RFUEA Grounds will be LIVE on Bamba Sport. Head Coach Gibson Weru has flanker Harold Anduvate captaining the side while regulars Rodgers Audi, Theophilus Lusangalu and Amos Onyinkwa start at eight and half-backs respectively. Wheels Blastas Juma and Derrick Mbaire start on either wing while Brian Wekesa is at fullback. Oilers’ bench has the likes of Chrispine Shitundo, Aziz Annan, Antony Kibet and Derrick Keyoga. "We have prepared in the best way possible for the start of the season, KCB will be a tough opponent and so are other 10 teams. All the players are fit and available for selection,” said Weru earlier in the week. 1.Nelson Nyandat. 2. Peter Karia. 3. Stephen Wakaya. 4. Calvin Sule. 5. Brodie Kagai. 6. Jack Adero. 7.James Ochieng. 8. Clayne Okalo. 9. Marlin Mukolwe. 10. Steve Osumba. 11. Bill Clinton. 12 Billy Isabawa. 13. George Maranga. 14. Steve Omondi. 15 Joshua Mwangi. 16 Godfrey Otieno. 17 Paul Ombwayo. 18 Collins Okeya. 19 Nesta Okoch. 20 Yasin Yusuf. 21. Eugene Sirima 22. Edgar Salano. 23. Edwin Salamba. 16. Kevin Thuku 17. Max Baraka 18. Hughes Anjera 19. Collins Matiko 20. Carlos Kimori 21. Dennis Ngare 22. Ibrahim Bobo 23. Bildad Ogeta.